So is everyone feeling a touch of the Monday morning blues? I know I am, I have a busy day planned at work but for some reason Monday’s drag something chronic. I could have the easiest most relaxed day at work and it would still drag because it’s Monday . But enough moaning because to cheer this day up I am sharing a super simple Vegan side dish for 4 people or a main dish for 2. 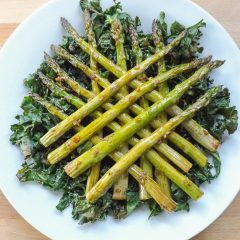 Sweet and savoury combine to make these Maple Tender Roasted Asparagus with Kale Chips boarderlime addictive! I think almost all foodies love the sweet / savoury / salty combination. It just satisfies in so many ways and the maple glaze on these maple tender roasted asparagus with kale chips hits the spot. We start by mixing some light soy sauce, a little minced garlic a glug of maple syrup and a touch of olive oil. I have used maple syrup to keep this dish Vegan but most liquid sweeteners can be used. Agave nectar or even honey if keeping this dish Vegan is not a concern for you. 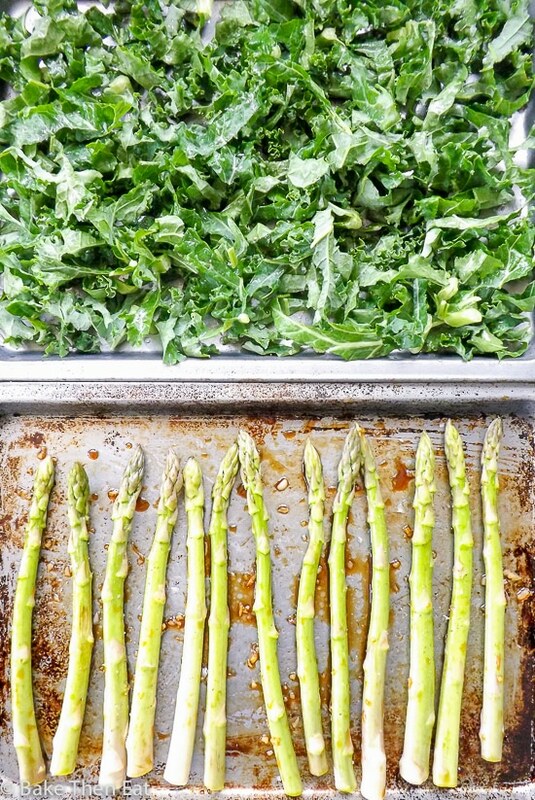 I love to serve these asparagus spears with kale chips, apart from being super tasty and healthy, the textures go so well together. Giving you a lovely crispy crunch with each bite of tender asparagus. 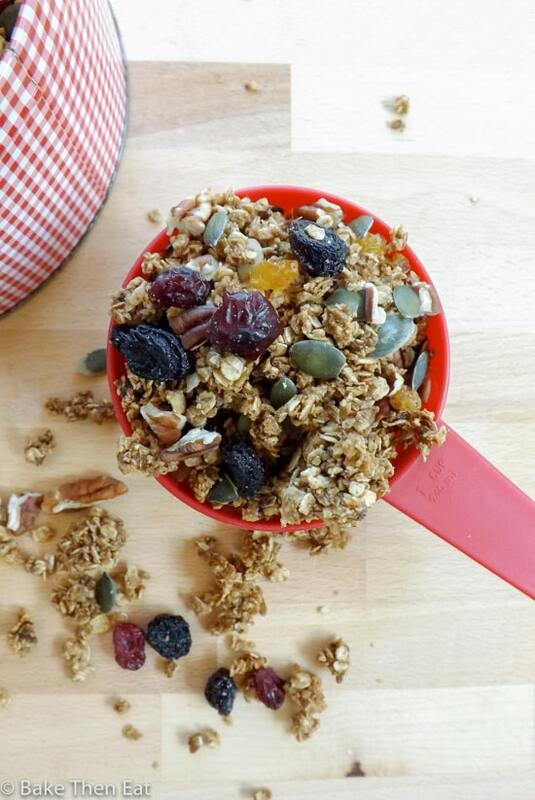 As it’s Monday I’ll keep this short and sweet, but do yourself a favour and add this dish to your summer roster and you won’t be disappointed. 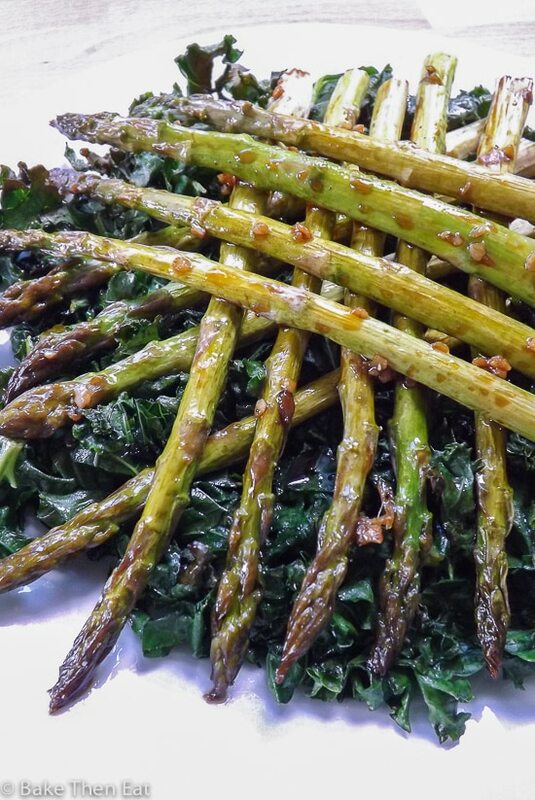 Maple Tender Roasted Asparagus with Kale Chips is a quick to put together vegan friendly side dish or a vegan main dish. A lovely balance of sweet and salty. Pour it over the asparagus and toss them in thenmarinade so they are fully covered. TALK ABOUT STUNNING PLATING!! Holy moly! Ha! I wouldn’t want to ruin the dish! Lol… thanks GiGi you can’t go wrong with a good plate of veggies with a good glaze. I literally live off dishes like this. Love the presentation and who doesn’t love a sweet & savoury combination. Wanted to try making kale chips at home for a while – thanks for sharing! Have a nice weekend! Thank you Miriam, Kale chips are a great no guilt salty snack and they do add a lovely crutch to a plate. Mondays are always tough! But this would definitely make it better! I love the kale / asparagus combo! Mondays are what they are – a gateway to Friday 😀 thanks Ashley. Lotta flavor and texture in this dish. It looks really nice — and I’ll bet it tastes better than it looks. 🙂 Thanks! This pretty plate of veggies would make any day of the week better! Asparagus and kale are my favorite! 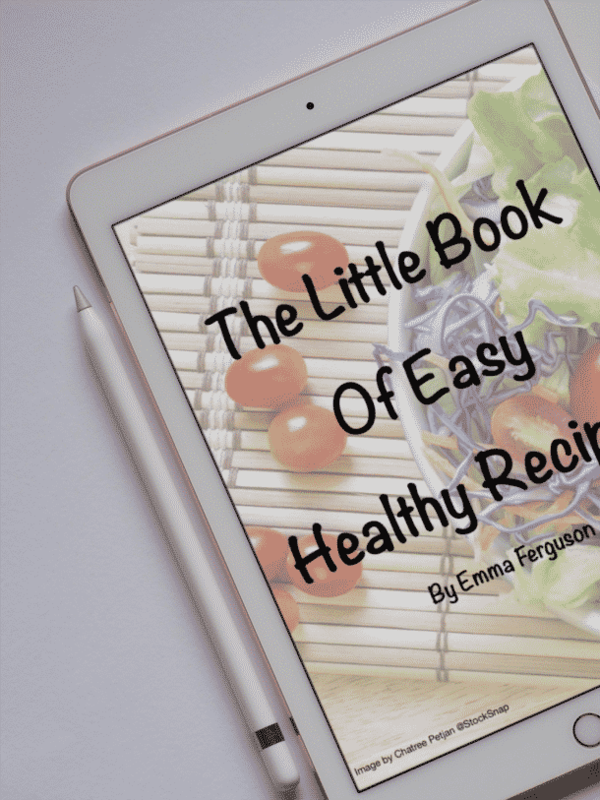 Looks delicious, Emma! OH WOW… this is such a great combination…I absolutely love asparagus and have them growing in my veggie garden. This is going to be a great recipe to use them in. Definitely saving. 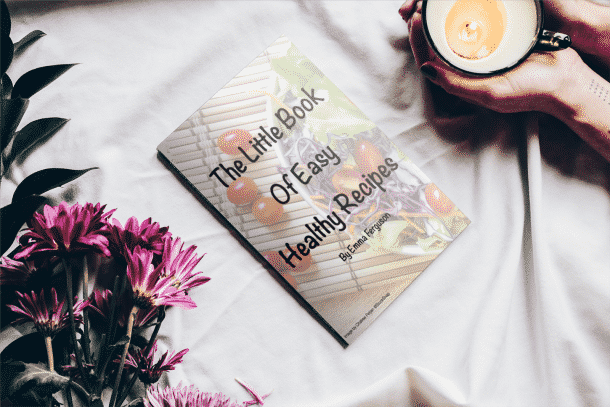 Your blog is amazing…Love the recipes. Thank you Ashika, I haven’t been brave enough to try growing my own asparagus. My big gamble this year was cauliflowers and luckily most of them paid off. Though my brussel sprouts are still to do anything spectacular! Oh I love this dish Emma, two of my favorites, the flavors must be wonderful. 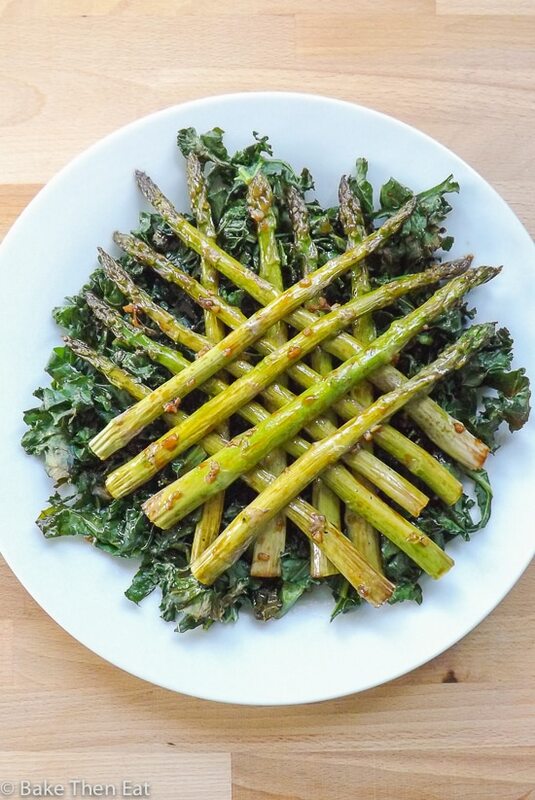 This Maple Tender Roasted Asparagus with Kale Chips looks so beautiful and delicious, Emma. Love how beautifully you have arranged those asparaguses. This would make a perfect summer meal. 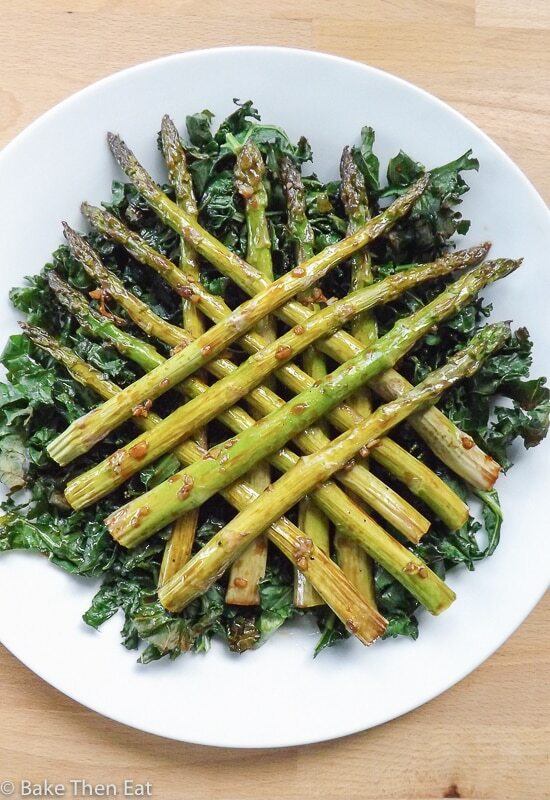 Now this is cruel..because asparagus season is over and kale season not yet here…I can only drool over this beautifully presented and delicious veggie treat! YUM! Sounds absolutely divine, love both veggies, I’m sure they’re great together!